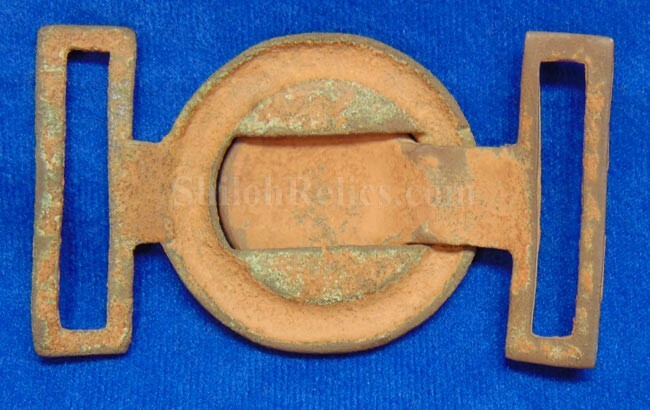 This is a superb excavated example of the Civil War officer’s sword belt buckle. 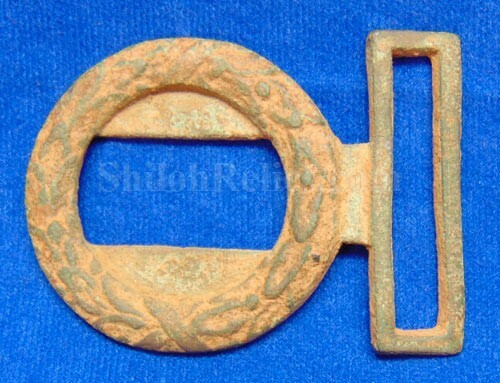 This is the pattern that is known to collectors as the "Virginia” style sword belt buckle. 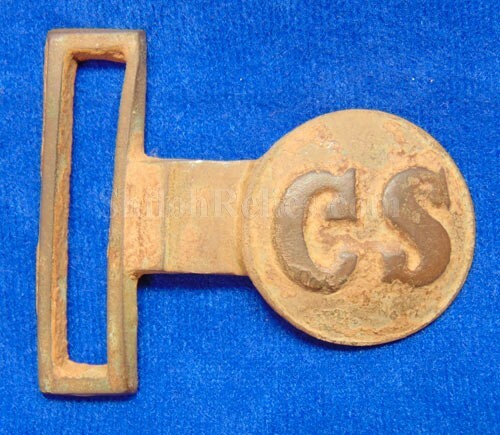 These were probably manufactured in Richmond and were widely used the Army of Northern Virginia cavalry and officers. 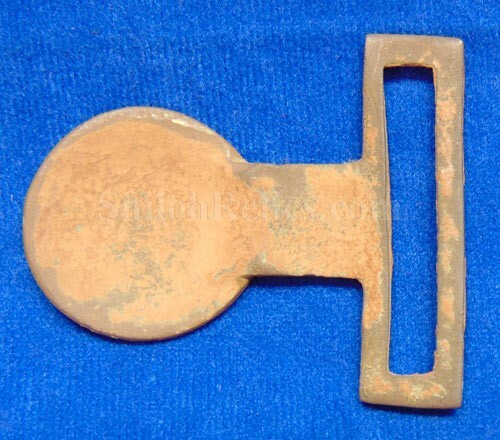 This is the version similar to Plate #006 in the revised edition of the Confederate buckle book by Steve Mullinax. 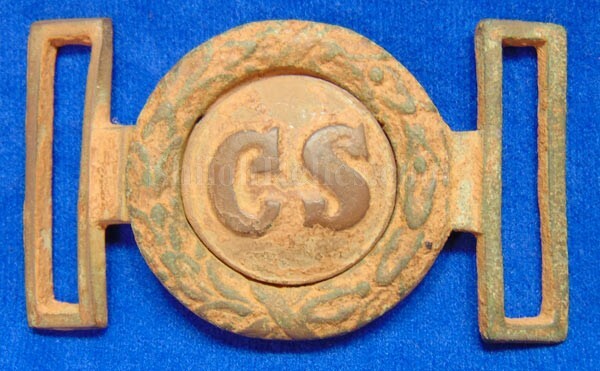 It has a vividly clear "CS’ on the tongue portion of the buckle. The matching wreath has an equally superb display. This one has a gorgeous brown tone with hints of green patination in the recesses. 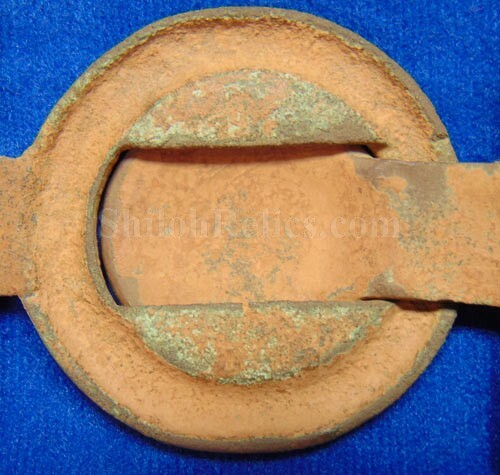 It is a flawless buckle that has had no repair or restoration. 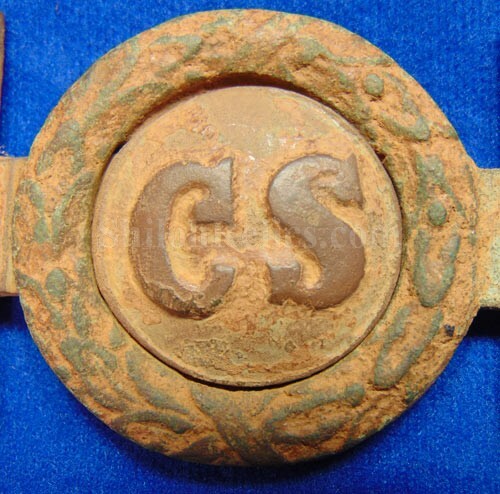 The buckle is accompanied by verbal history stating that it was recovered in outside of Richmond, Virginia in Orange. 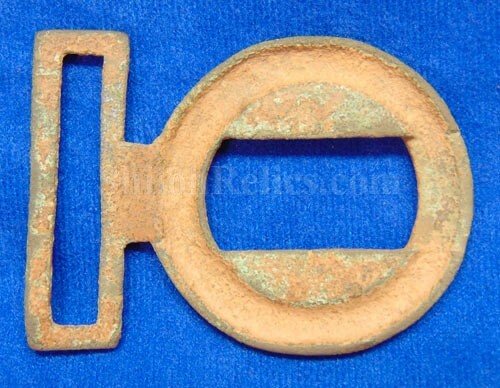 This beauty will make a superb addition to any Confederate buckle collection.